Does your heart burn to make a difference in this generation? … check out FIRE School of Ministry Europe! 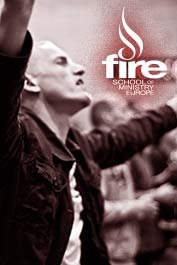 FIRE School of Ministry Europe is a leadership training institute, birthed out of the fires of revival, which is called to equip authentic and devoted disciples of Jesus who have a burning desire to love, serve God and impact their world. Students are grounded in the Word of God, bathed in intimacy with Jesus, stretched in faith, immersed in the Spirit, and practically equipped for life and ministry. Modern culture is in a serious crisis, the church at large is greatly compromised, and the needs of the world continue to be staggering. There is a critical need today for fully-equipped, solidly-grounded, specially-trained, radically-committed leaders to arise and FSME is the ideal place to be trained. We have dedicated our new church building where we also have all our classes since the start of this semester. we are thrilled to share this video of the dedication of the building to the Glory of God by our president, Dr. Michael Brown, as well as Dr. Yesupadam and pastor Yang Tuck Yoong! 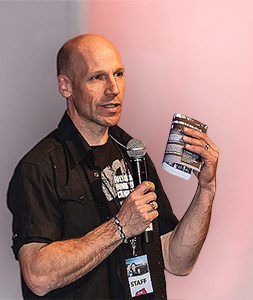 Our director Frank Pot had the opportunity to share about FIRE School of Ministry Europe at the FIRE Conference with Daniel Kolenda in AHOY Rotterdam. Check it out underneath!